Mickey has a new trick up his sleeve. Have you ever wanted to have a conversation with Mickey Mouse? 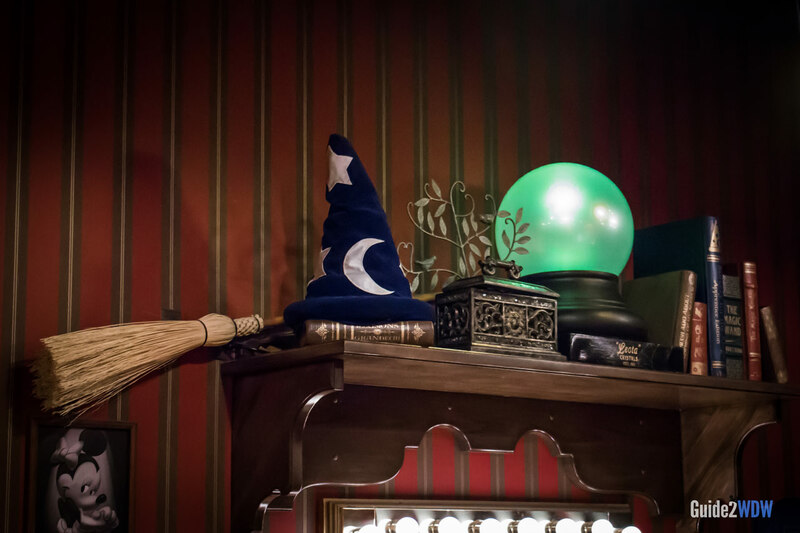 Head to the Town Square Theatre on Main Street, immediately to the right after you head under the train station. Inside, Disney World guests will meet Mickey the Magnificent – Mickey Mouse’s magician stage name. Mickey will do a variety of cute bits and card tricks as part of the meet and greet, but the real magic happens once you enter the room. Mickey actually talks, and his face animates! Even better, Mickey will respond to what you say to him. The effect is extremely cool. I’ve seen grown men and women start giggling with joy once they see Mickey talk to them or wish them a happy birthday. Guests are invited to take pictures with Mickey as part of this meet and greet. If you are a Disney fan at all, I urge you to experience this one of a kind meet and greet. If your child watches Mickey Mouse Clubhouse on Mickey Jr, be sure to mention this. My nephew loves that show and loves Mickey Mouse. Since my sister mentioned it, he got to do the Hot Dog dance from the show with Mickey as Mickey sang the song, and this one experience made the whole trip to Disney World worth it. Mickey has a rotation of magic tricks, and each one of them has their own unique charm and sense of humor. This, plus the fact that Mickey actually interacts with you, makes this meet and greet worth repeat visits. 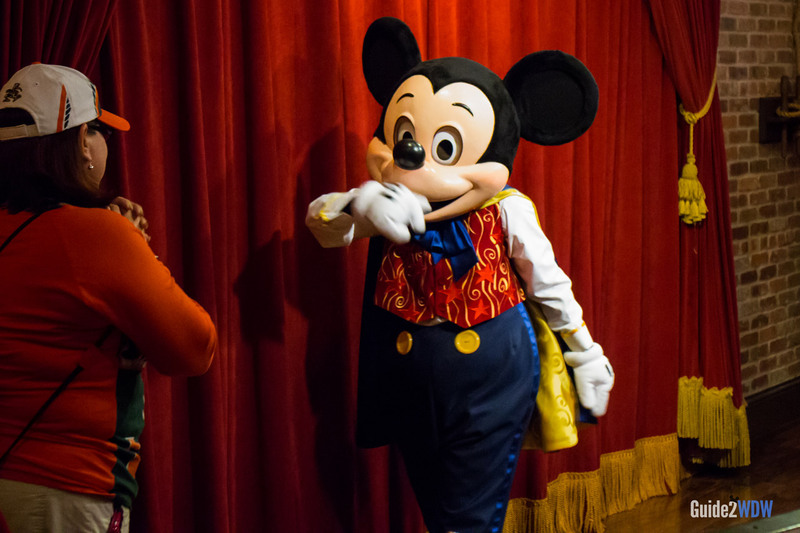 You can get Fastpass+ reservations for meeting Mickey the Magnificent. This might be a good option, as meet and greet lines tend to be slow moving. As far as character interactions go, this is one of the best that Disney World offers. Lines are the shortest right after opening and right before closing. Mickey in his magician outfit. Can you spot the easter egg for all 4 parks in this picture? 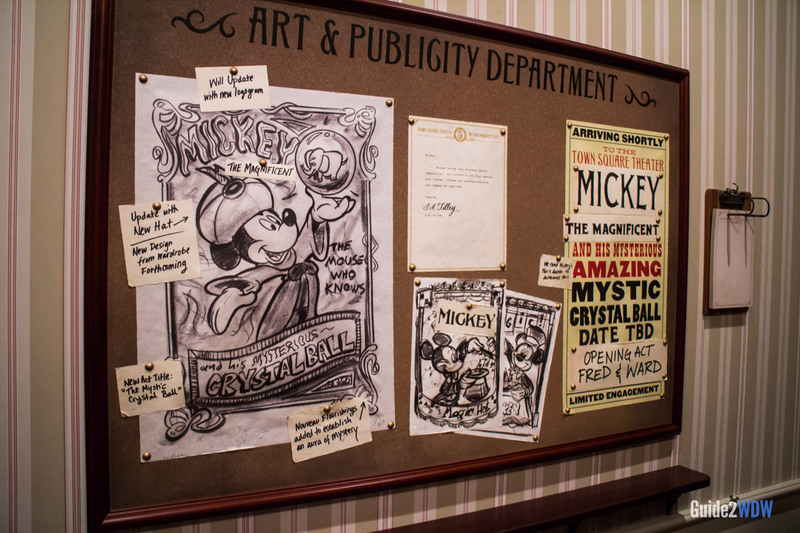 The queue has preliminary art from Mickey’s publicity department. 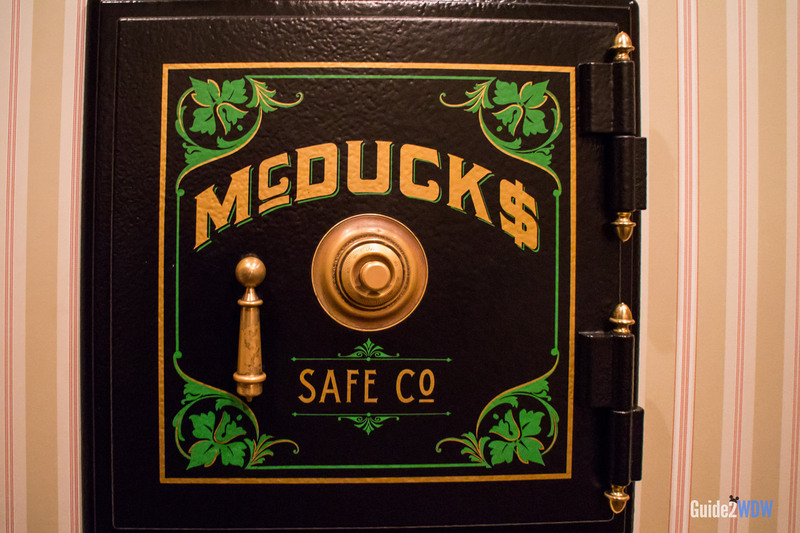 Look out for a Duck Tales reference in the queue.